The palace of a revered Arab sheikh is being demolished on the orders of the Iranian government as it continues its campaign of ethnic cleansing against Ahwazi Arabs. The Hamidiya palace located in Hamidiya, 25km from Ahwaz City, was recorded as one of Iran's national historical buildings by the Cultural Heritage Department. 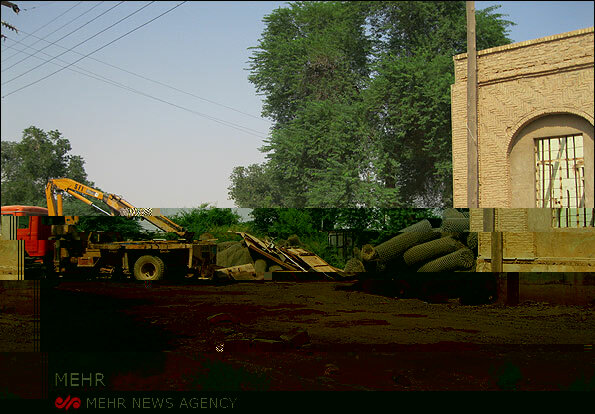 After years of neglect under the regime, which renamed it 'Qajar palace', has decided to demolish the building, which belonged to the last Arab ruler of Arabistan, Sheikh Khazaal, before Reza Pahlavi became Shah in 1925. The palace was visited by thousands of tourists every year. The destruction of the Hamidiya palace is part of the Iranian campaign to eradicate the region's rich Arab cultural heritage. Arab place names have been replaced with Perian substitutes and Ahwazi Arab children are forced to learn in Persian in an effort to suppress their identity. A 12-point agreement on the historical palace's conservation in 2001 has largely been ignored by the Khuzestan Water and Power department, which owns the property. According to the agreement, the palace was to be restored and used as an office building, but has been left in a state of neglect. The demolition of the Hamidiya palace comes after the Revolutionary Guard destroyed the Sheikh Khazaal's Feilieh Palace in November 2010. 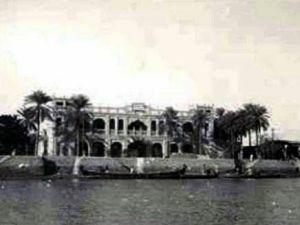 The Feilieh Palace was built in 1917 and was also listed as a cultural heritage site. Sheikh Khazaal, the last sheikh of Mohammareh, ruled with de facto autonomy, granted by the Qajar rulers of Iran who granted him control of the region known at the time as Arabistan, a Persian name meaning 'land of the Arabs'. 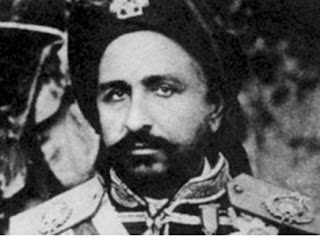 Khazaal oversaw the region's rapid development, including the opening of the Karoon river to trade and navigation and the creation of the first oil refinery in the Middle East, located in Abadan, constructed by the Anglo-Persian Oil Company, the former name of British Petroleum. The sheikh was widely respected for uniting Arab tribes as well as forging alliances with Bakhtiari khans. In his rise to power, Reza Pahlavi sought to centralise political control and remove Khazaal from power, prompting the sheikh to petition the League of Nations for the same recognition as nearby Kuwait. The British abandoned Khazaal and supported the Pahlavi regime, regarding it as a bulwark against the potential spread of Bolshevism in the Middle East. Khazaal is revered by Ahwazi Arabs who see him as a figure of Arab identity.